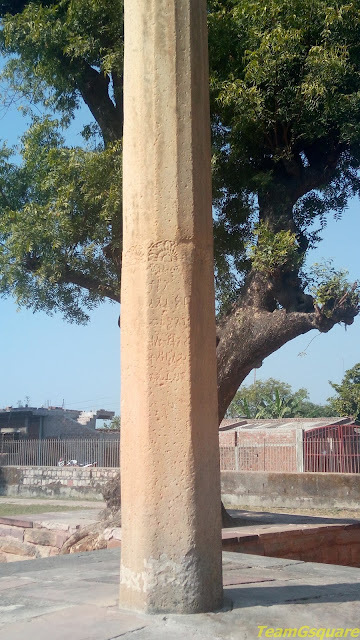 The ASI care taker at Vijay Mandir, Vidisha gave us directions to the 'Heliodorus Pillar'. This site was included in our list of places to visit around Bhopal. A five minute drive from Vidisha brought us to the Heliodorus pillar. 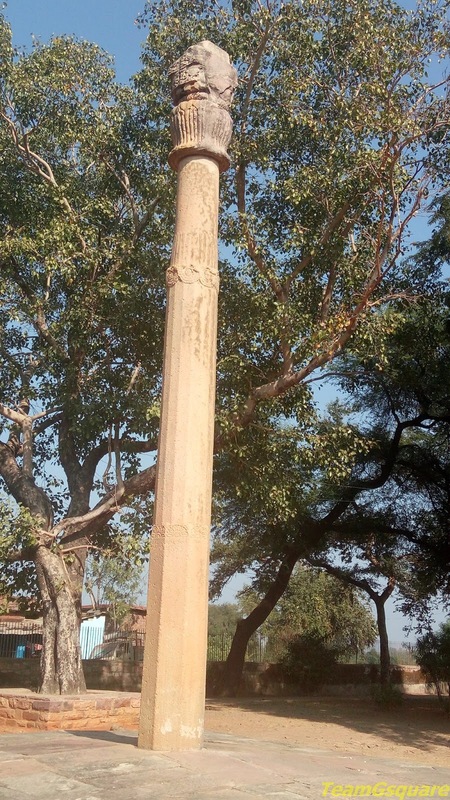 The Heliodorus pillar is locally known as the 'Khamba Baba' and was erected in 150 BC by Heliodorus, a Greek ambassador to the court of Bhagabhadra from Takshashila. 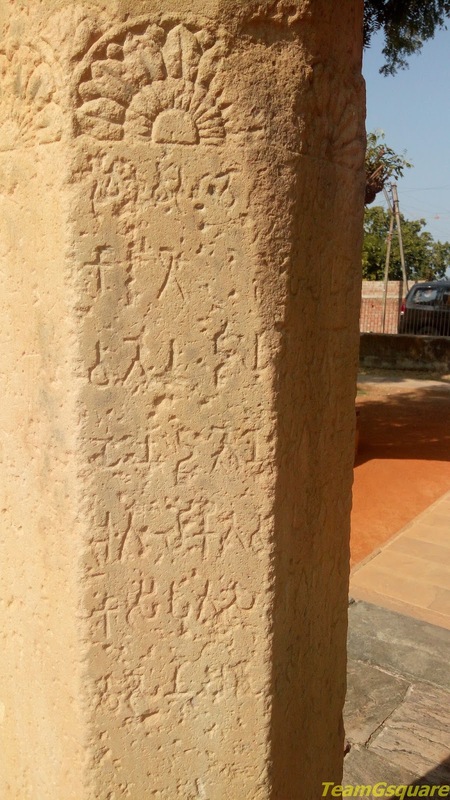 This pillar bears two inscriptions in Brahmi and Prakrit scripts. One of the inscriptions here records that this pillar was setup as a 'Garuda pillar' in the honor of Lord Vasudeva (Vishnu). Heliodorus embraced Hinduism as his way of life, after being impressed with Lord Vasudeva. He called himself as 'Bhagavata', meaning a follower of the Vaishnava sect. It is quite interesting to note that this is the first recorded instance of a westerner being converted to Hinduism. 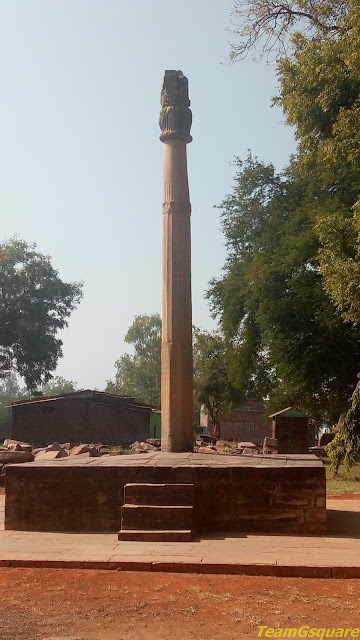 This pillar resembles the Ashoka pillar, though much smaller in size and is located very close to Sanchi, which again speaks volumes about the religious tolerance that prevailed back then. The ASI has built a compound in order to to protect this pillar and also has appointed a care taker for its maintenance. Distance from nearby major town: 2 km from Vidisha. Accommodation: There are some small lodges in Vidisha, but a better choice would be Gateway Retreat at Sanchi maintained by MPSTDC. Where to eat: There are plenty of options to eat in Vidisha. Wonderful shot. I missed this during my tour of MP. Visited it a a few years ago. 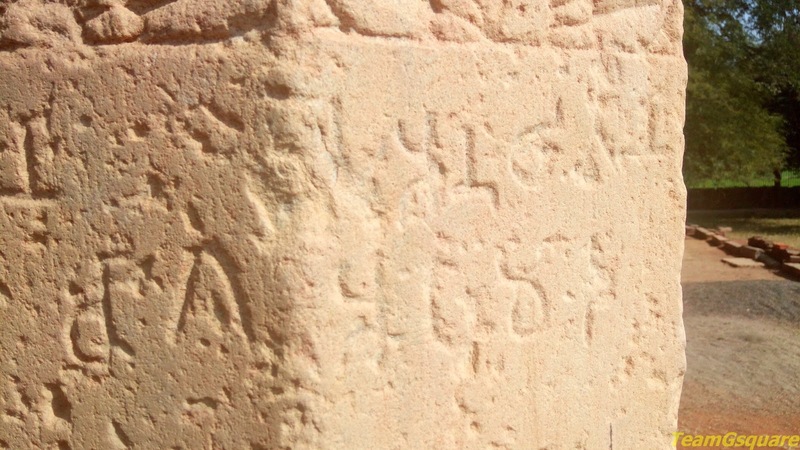 A very intrguing story as I never expected to find anything remotely greek, so deep in Central India. A nice detour from Sanchi.